As a first time home buyer, you’re probably confused about when exactly you should buy a house. You’ve heard all kinds of advice and suggestions: Wait until you save enough money for a down deposit, purchase a home in the spring, or wait until the market is in your favor. Ready to buy your first home? 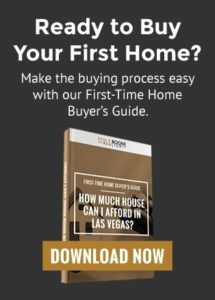 Download our First-Time Home Buyer’s Guide and uncover how much house you can really afford in Las Vegas. Despite what you’ve heard, there’s no definitive answer to which is time of the year to purchase a home. However, there are two keys factors that will significantly impact when you can purchase a home for the first time. After a long recovery, 2017 may be one of the strongest years for home sales in a decade. According to the National Association of REALTORS ®, 5.5 million homes were sold nationwide in 2016. January 2017’s seasonally-adjusted annual rate of 5.69 million was the highest since February 2007. A large proportion of new buyers in 2017 is expected to be millennials. Realtor.com writes that first-time home buyers in 2017 are projected to rise to 52% of buyers, up from 33% in 2016. Of these, 61% are expected to be under 35. 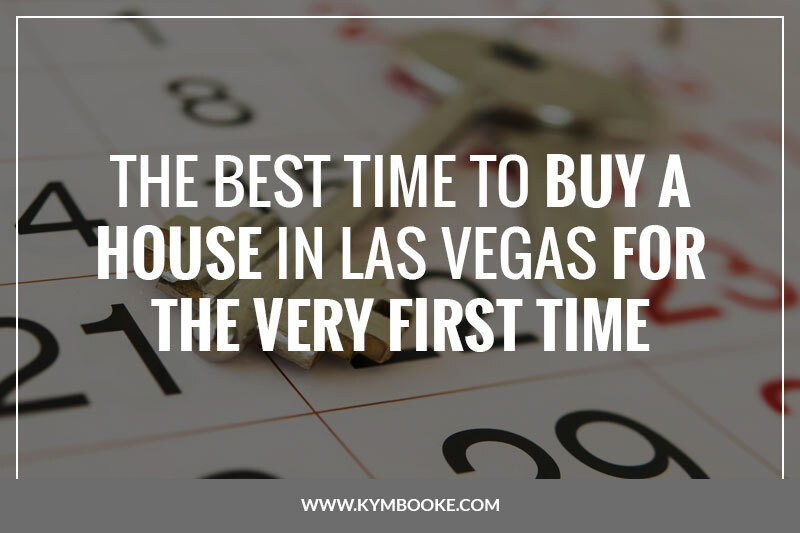 Las Vegas has many great opportunities for home buyers. RCG Economics reported a 14.8 percent increase in home sales since March 2016. With spring in full swing, you might be wondering if this is the best time to buy a house. Spring and summer are popular with buyers and offer a wide selection of homes. However, you may face higher competition. Christmas and Easter Sunday are the two best days for home buyers. They both offer reduced competition, but Christmas buyers can also take advantage of December’s lower average home prices. Fall and winter are when housing prices, supply, and competition tend to be at their lowest. RealtyTrac reports that October buyers can save an average of 2.6 percent on their home. Mortgage: A 30-year fixed rate mortgage is the most common type of mortgage, but a ten, fifteen or twenty-year mortgage can save you a fortune in interest. Adjustable-rate mortgages (ARMs) are also available but carry greater risk. Down Payment: As a rule of thumb, a down payment should be 20% of the price of a home. Federal Housing Authority (FHA) loans and down payment assistance programs can reduce this amount. Credit Score: Your credit score will determine the size and interest rate of your mortgage. Calculating What You Can Afford: Keep housing expenses within 36% of your monthly income. Use an online mortgage calculator estimate how much house you can afford. Savings: Save about 1-5% of the value of your mortgage to pay for closing costs and other expenses. During a buyer’s market supply you will have less competition for available homes and can better negotiate with owners. However, in a seller’s market, you will face higher prices and will have less leverage with owners. A real estate agent can inform you about current market conditions. First-time home buyers in 2017 can expect higher competition and mortgage rates compared to a year ago. However, home prices and interest rates are still far below 2008 levels. While early fall offers many advantages to home buyers, you can still find great deals year-round in the Las Vegas real estate market thanks to its transient population and warm climate. We welcome you to view our current home listings to get started with finding a home. For more information, contact Kym E. Booke today, (702)-525-5498 . You can also contact us online if you’d prefer.